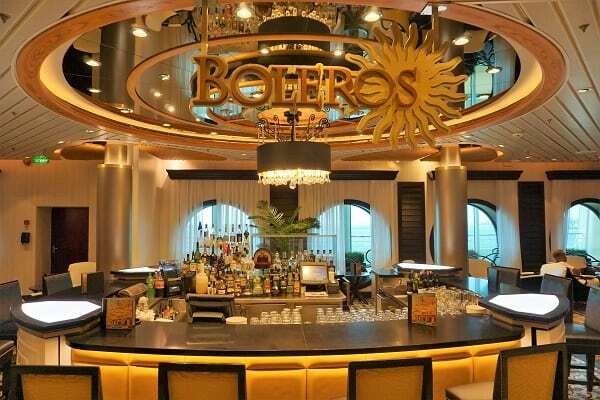 When it comes to enjoying a drink, Mariner of the Seas offers travelers several different bars and lounges. 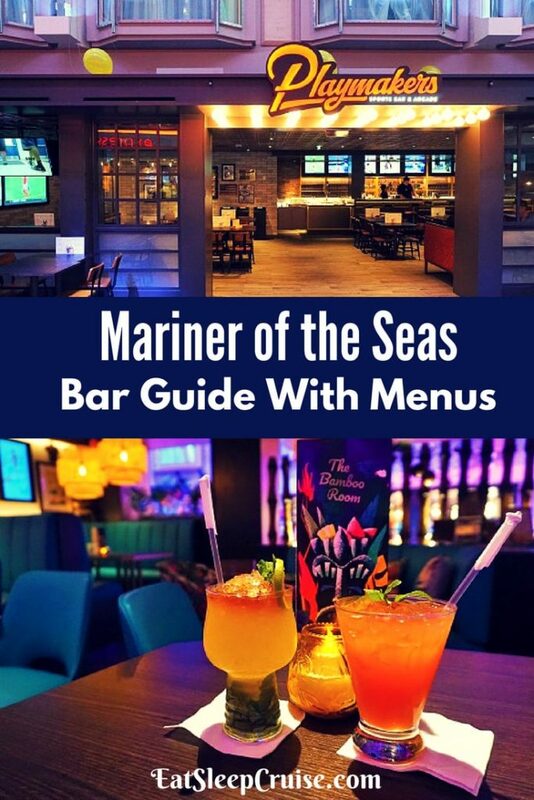 With so many choices, you might want to complete your own “drink around the ship” sampling at least one beverage from every venue onboard Mariner of the Seas. 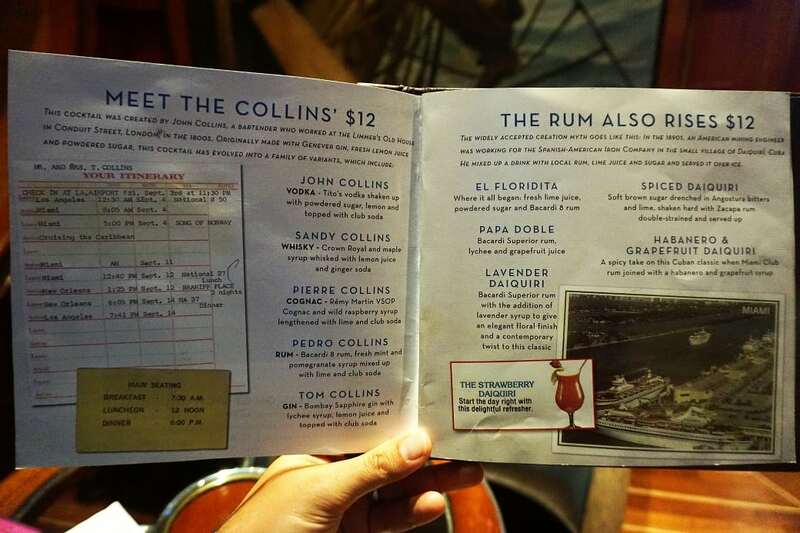 Or, you could simply make good use of that Royal Caribbean Deluxe Beverage Package at your favorite watering hole. Not sure where to start? 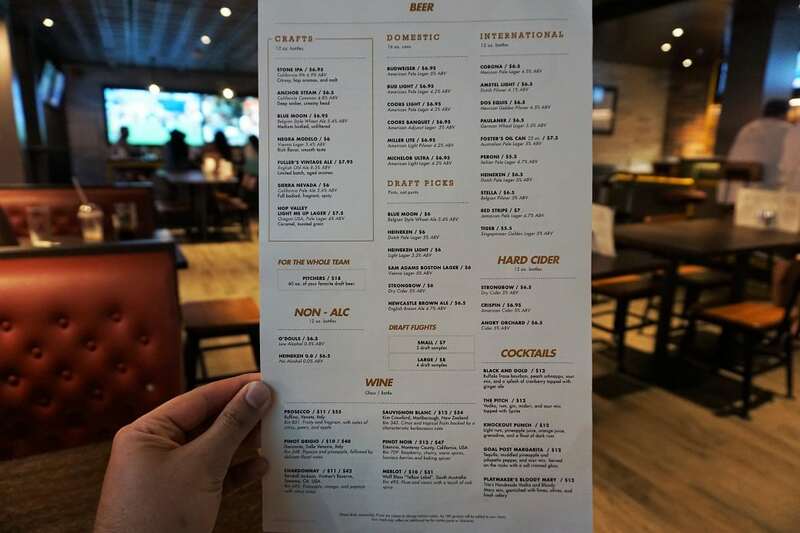 Our Mariner of the Seas Bar Guide includes all of the details, photos, and bar menus to help you make the difficult decisions. Home to the line’s signature ice show on select evenings, you will certainly want to enjoy a cool drink in this icy venue. There are bars on both sides of Studio B, as well as servers making their way around the venue to take your drink order. While the venue offers the standard bar menu, the availability might be limited during the performance, so be sure to order before showtime. 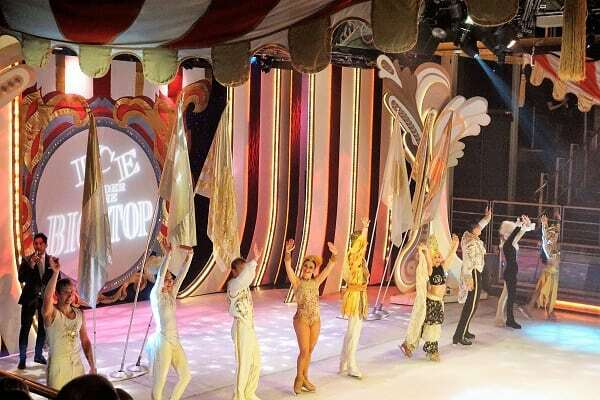 The ship’s main theater hosts nightly entertainment ranging from production shows and revues to headliner singers, comedians, and entertainers. Of course, you will want to enjoy a refreshing drink during the performance. Several bar staff make the rounds to take your order or you can go up to the bar yourself. 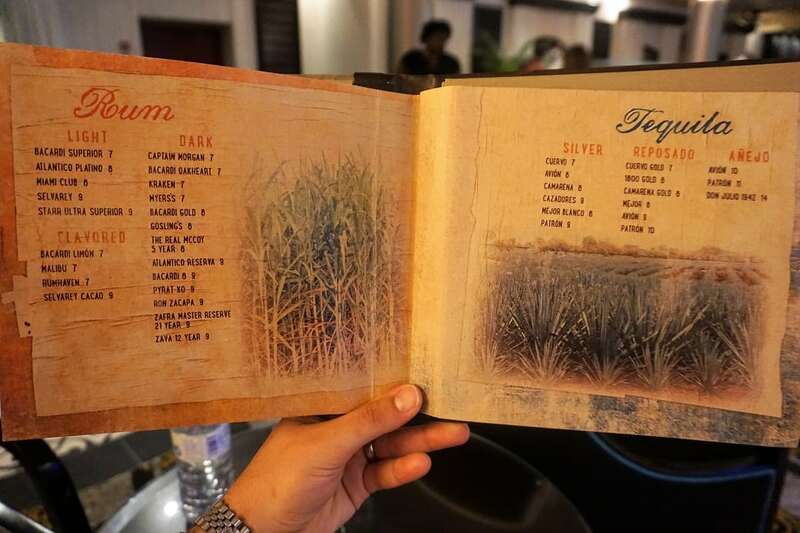 Again, the theater offers the Standard Bar Menu. 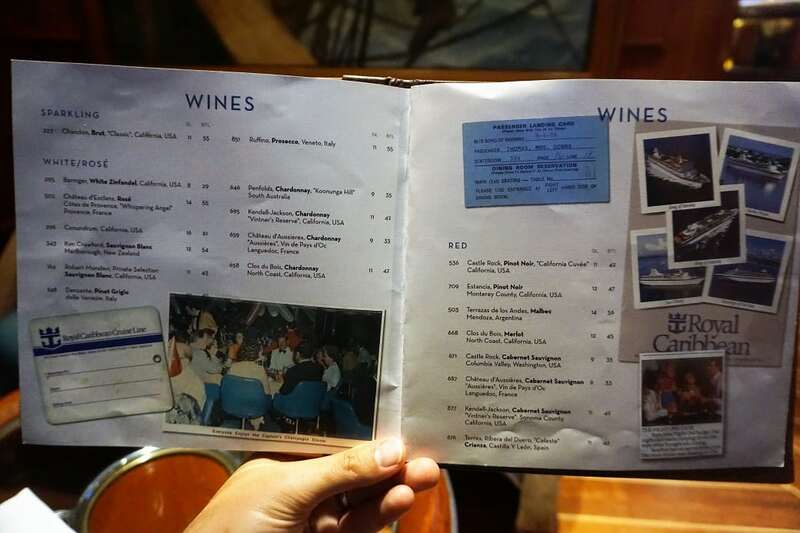 Royal Caribbean’s signature piano bar is a favorite on any ship. The venue boasts a specialty drink menu with martinis including my personal favorite, the Sidecar. Located right in front of the theater, cruisers tend to congregate here pre-show or post-show. 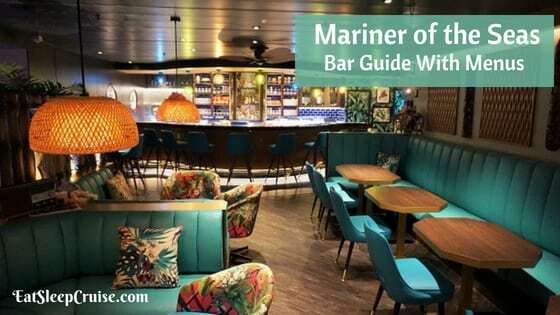 With a great mixture of craft cocktails, music, and some new cruise friends, this might become your regular watering hole. If you need a beverage to go along with your slot play, then the Casino Bar is your stop. 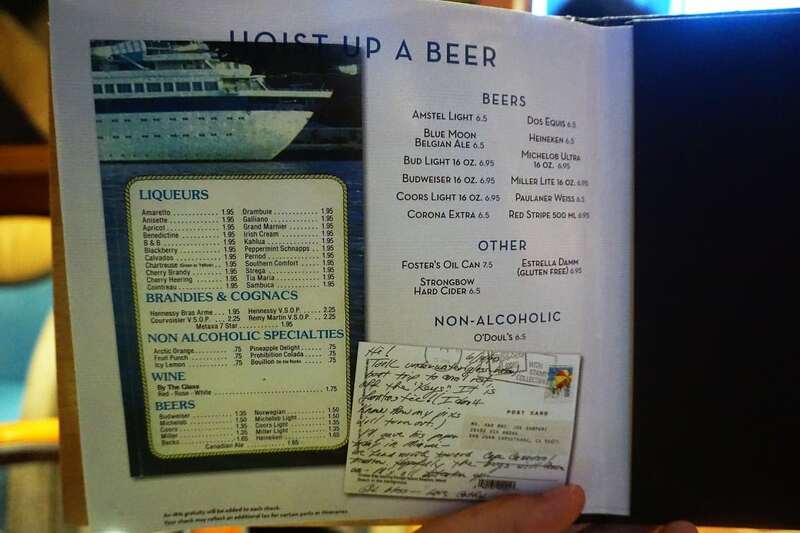 Offering drinks from the cruise ship’s standard menu, the bar is open whenever the casino is open. This is one of the late night spots on the ship, so don’t be surprised to see some of the night owls grabbing one last drink at this centrally located venue. If you are looking to spice up your evening, this Latin-inspired lounge might be just the place for you and your senorita. Boasting a signature cocktail menu featuring various margaritas, caipirinhas, and more, these are some of the most unique and flavorful drinks on the ship. Located near the main dining room, this is the perfect place to enjoy a pre-dinner or post-dinner cocktail while listening to some live Latin music. Home to various game shows, trivia, and other cruise director staff activities, this venue comes equipped with a full bar. You can grab a seat and have a few laughs as you watch fellow cruisers compete in various events like Battle of the Sexes or Rock-A-Rokie. 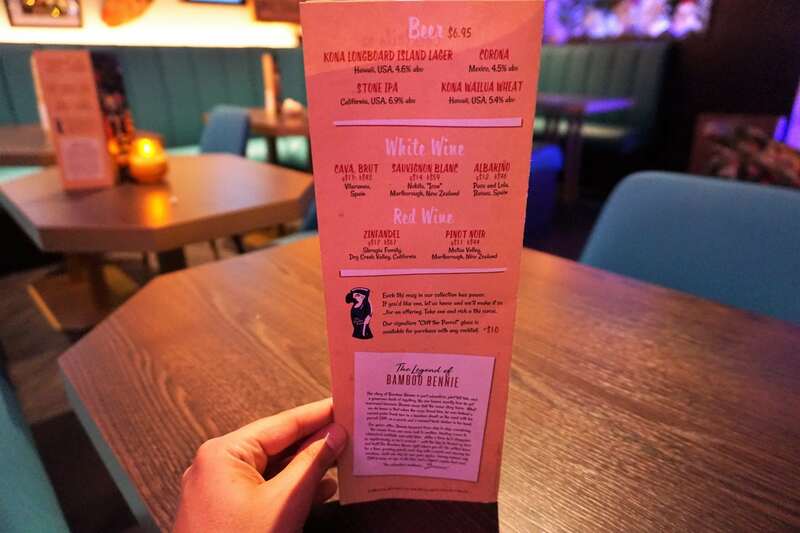 With a bar in the back of the venue and plenty of servers making the rounds, you can order up your favorite drink from the Standard Bar Menu. Open 24 hours a day, the Cafe offers food items such as morning pastries, small sandwiches, pizza, and cookies. 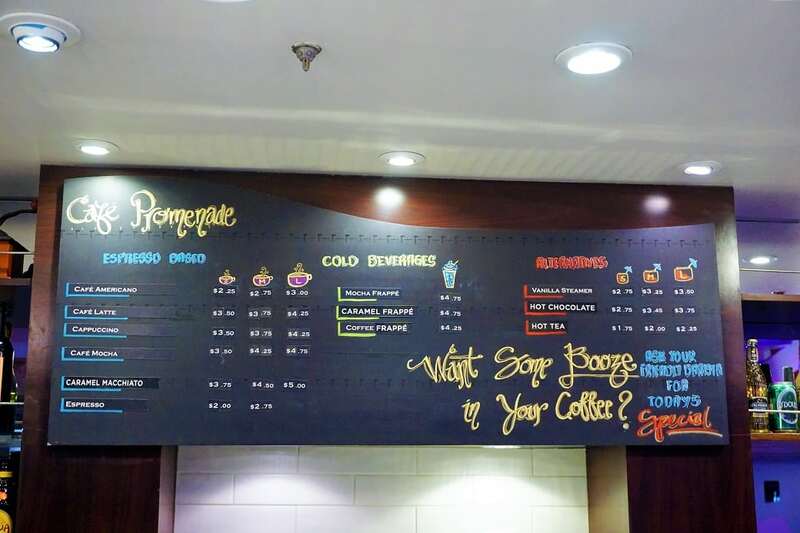 This java house also features an espresso menu with lattes, mochas, and more. Or, you can top off your coffee or espresso drink with a liquor or cordial if you choose. In addition, Cafe Promenade offers a small selection of beer. 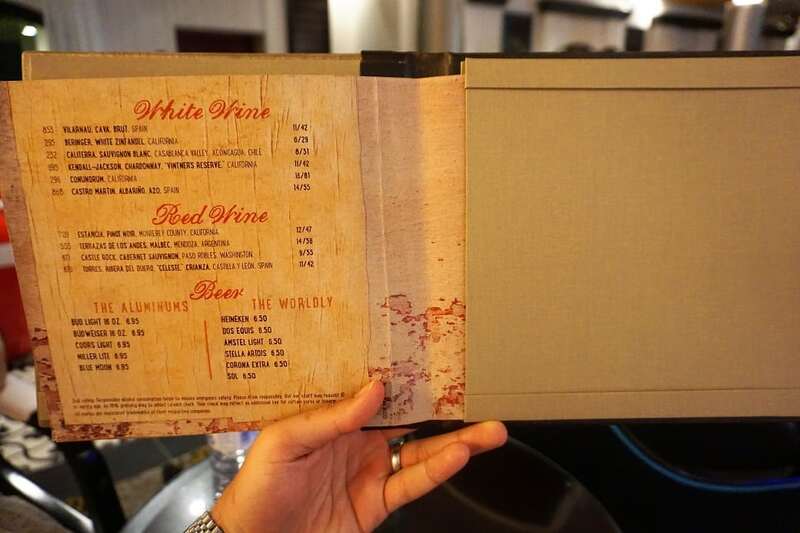 All of this is covered in the Deluxe Beverage Package so don’t worry about the tab. 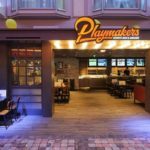 Brand new to the ship, Playmakers is a sports fanatics dream. Wall to wall flat screen televisions line this pub broadcasting games from around the world. 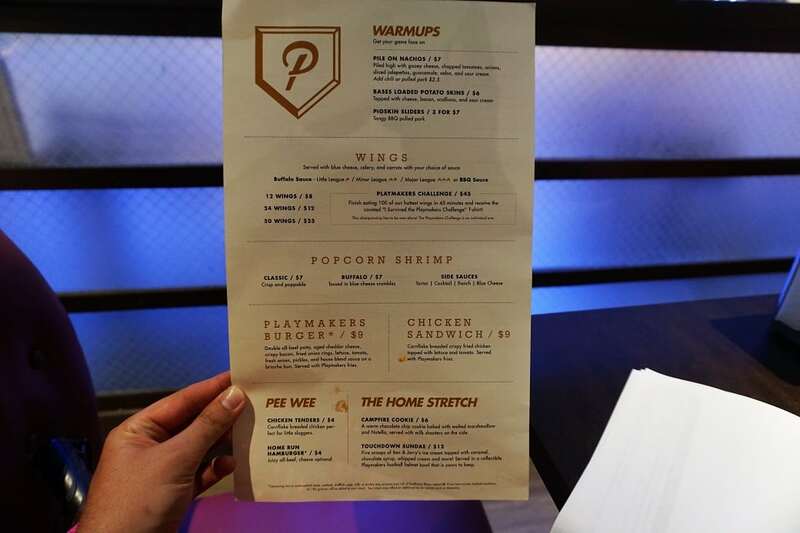 When it comes to dinner and drinks, Playmakers features an a la carte food menu including fan favorites like nachos and spicy Buffalo chicken wings. 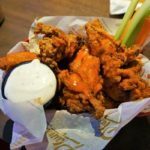 An extensive cocktail and beer menu means you will always have a drink ready to cheer on your home team. 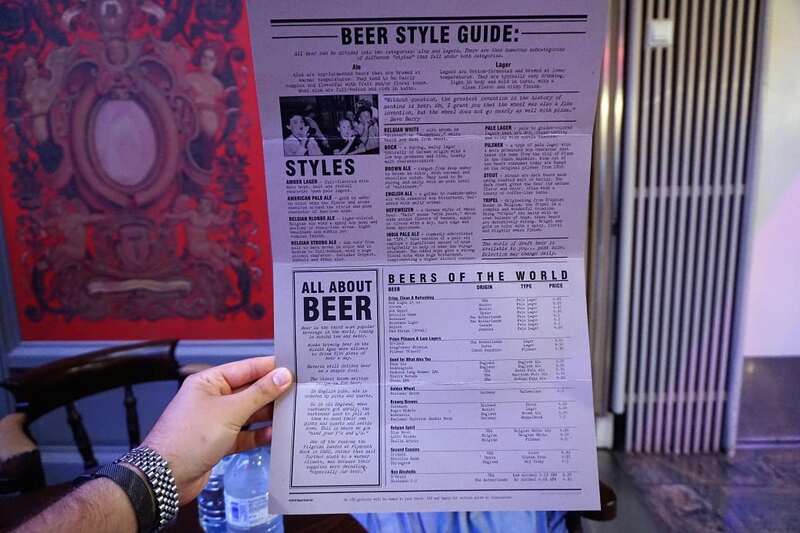 If you are a beer drinker than this English-style pub will be your favorite stop. 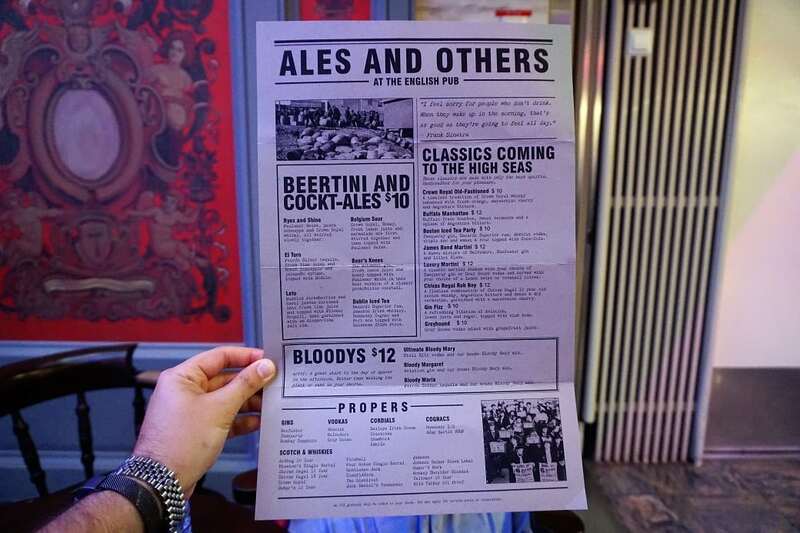 With an extensive beer list featuring lagers, stouts, and ales, there is sure to be a brew for you. If you prefer a classic drink, there are plenty of proper cocktails like an Old-Fashioned or Gin Fizz also on the menu. The pub features acoustic style music most evenings so you can sing along with popular songs as you enjoy your beer on the Royal Promenade. 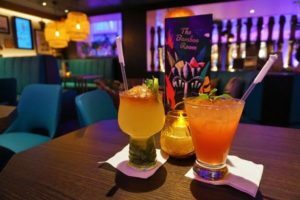 Brand new to Royal Caribbean is the Bamboo Room. 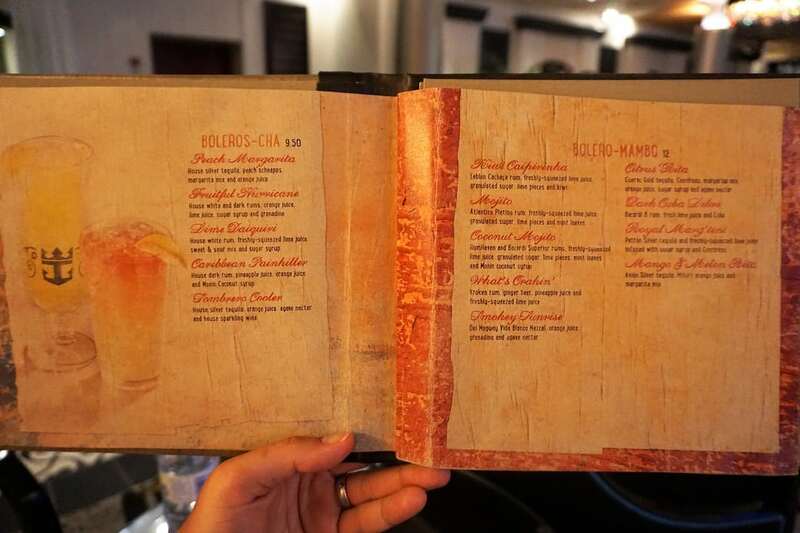 This Polynesian inspired tiki bar is funky and fun with a drink menu that is as exotic as the decor. Open most days starting in the mid afternoon, this venue’s specialty menu serves up some new favorites like the Royal Zombie. 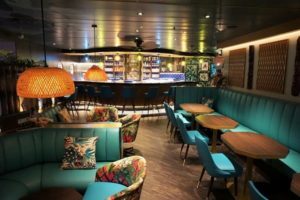 With a friendly bar staff that are as stylish and memorable as the drinks and room furnishings, this is sure to become a popular stop during your drink around the ship. This adults-only area in the front of the ship includes a pool as well as a bar for those grown-up beverages. Serving the Standard Bar Menu, this is where you can relax sans children and still get to enjoy your favorite frozen drink. With some comfy day beds and loungers, and even whirlpools, this little oasis separates you from the rest of the hustle and bustle on the ship. Bask in the sun as you grab a drink at the Pool Bar. Conveniently located next to the main pool and sun loungers, this bar is the place to be during the day. 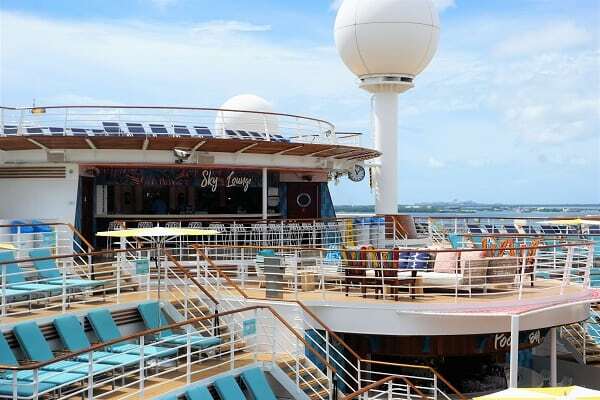 Grab a Pina Colada and get ready for the day’s events like the Belly Flop contest or the Sail-Away party. The Pool Bar is often busy, so make sure you know what you want when you get to the front of the line. If you are dining at one of the specialty restaurants, you can grab a pre-dinner drink at the Plaza Bar. This bar also serves as the main watering hole for those dining in the Windjammer Cafe. 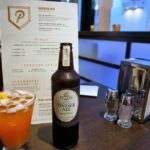 Grab a cocktail at this venue which offers a wide variety of liquors, beers, and wines and enjoy this newly updated and modernized area. You will feel like you are at a sophisticated lounge. Overlooking the pool deck is the outdoor Sky Lounge. With some comfy chairs and an ideal people watching location, this is your outdoor lounge to catch some sun with a cocktail in your hand. 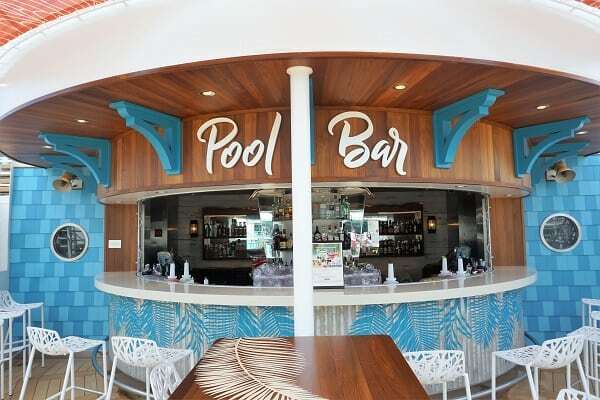 Featuring the Standard Bar Menu, this venue allows you to still enjoy all of the sights and sounds of the pool deck, without being in the middle of the crowds. Located at the very top of the ship is the Jazz club Ellington’s. Offering cruisers stunning views, this venue is home to many popular onboard activities including karaoke. The venue also doubles as a nightclub in the late evenings with the ship’s resident DJ. Ellington’s is a great venue for a quiet drink in the early evening or to dance the night away under the stars. 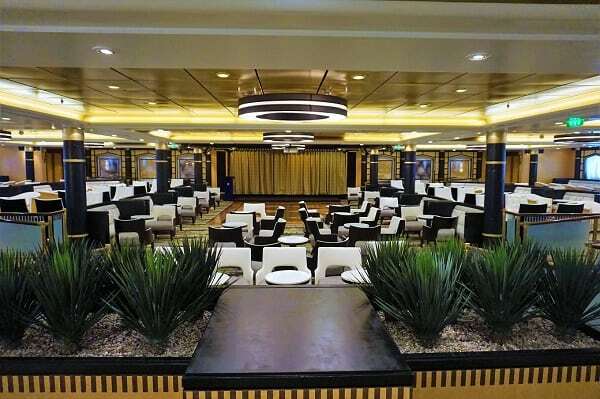 Located nearby is the Diamond Lounge for cruisers with RCI status as well as the Suite Lounge. 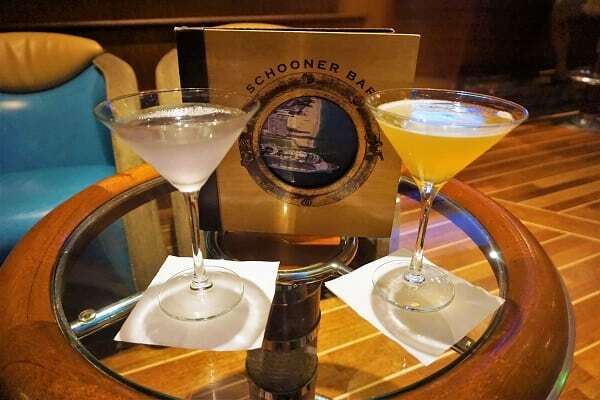 What is your favorite bar on Mariner of the Seas? 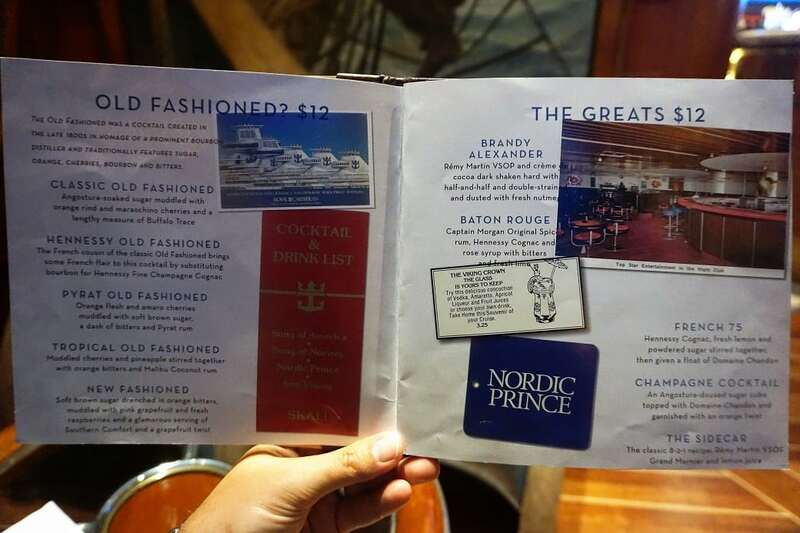 Do you do a pub crawl while onboard the ship? Drop us an anchor to share your experiences on this newly amplified mega-ship. You are very welcome! We are glad you found it useful. 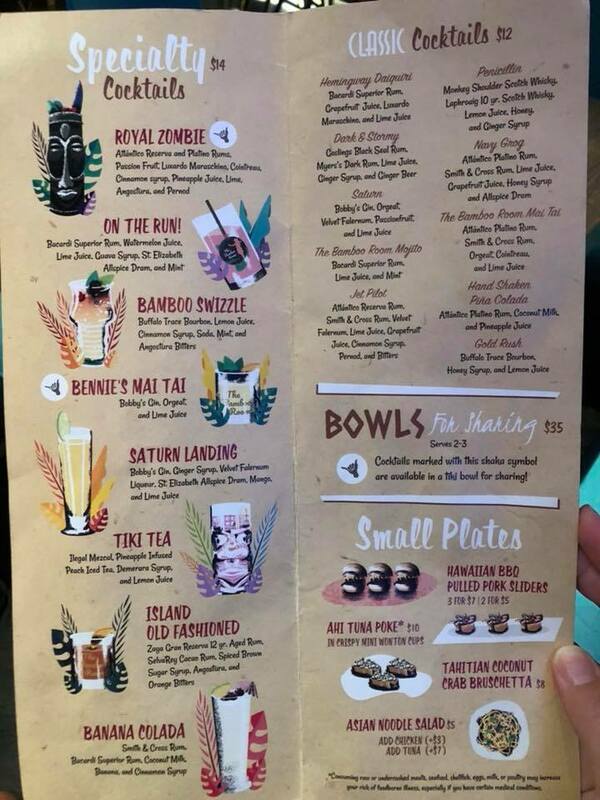 Are all the cocktails in the Bamboo Room included on the deluxe drinks package? When I was on the Symphony any drink was available, even the speciality ones! Looks great!